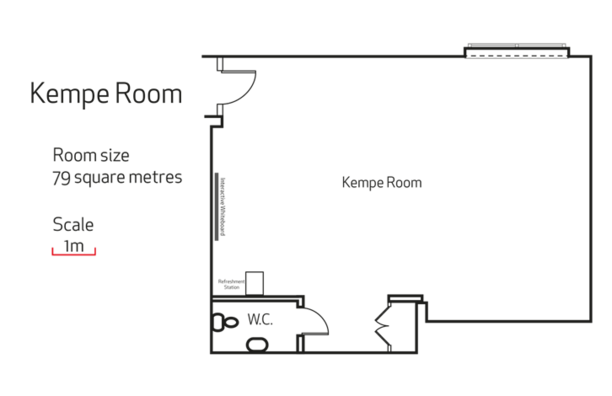 The smallest of our rooms, The Bishop’s Room is located on the ground floor and can comfortably accommodate 12 people. 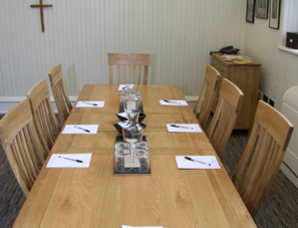 The Bishop’s Room can be used for a wide variety of purposes including interviews, private board meetings, intimate lunches and dinners. 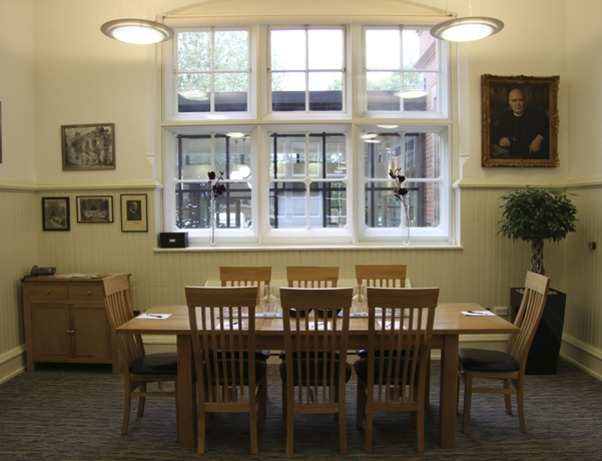 The Bishop’s Room cleverly combines 19th century features with 21st century standards and is flooded with natural daylight. 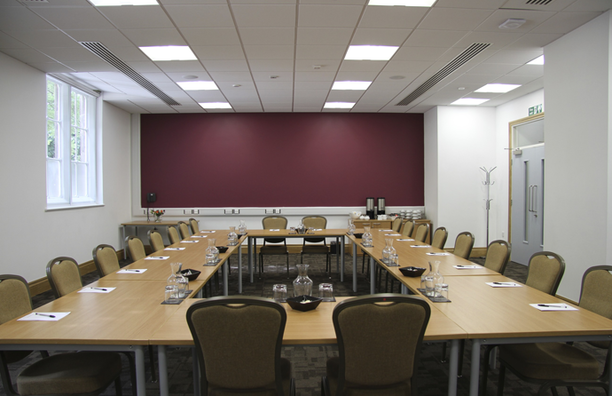 It also benefits from tall ceilings giving this room an airy and elegant feel. 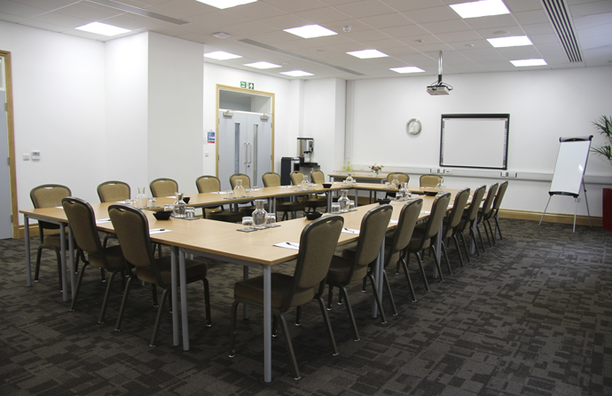 An in-built plasma screen, free Wifi, small soft seating area, tea and coffee facilities further ensure your self-sufficiency so you can carry out your business in privacy and comfort. 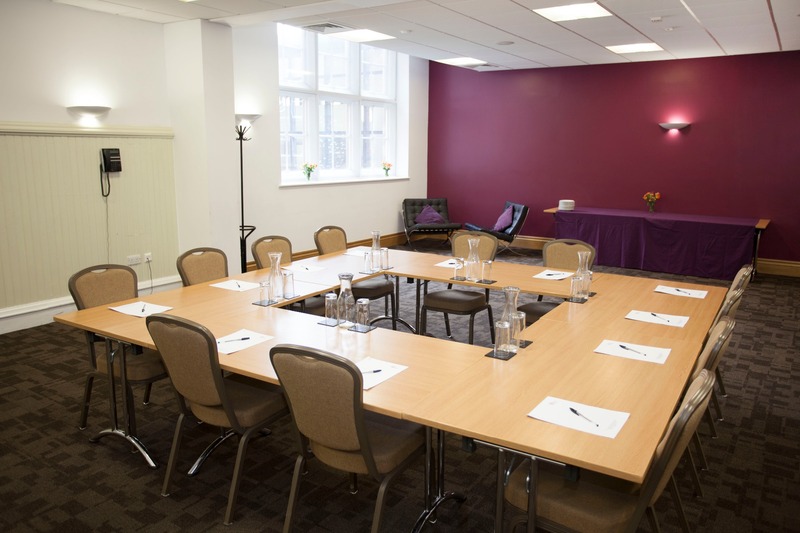 This spacious and contemporary ground floor room can comfortably accommodate 45 people and is a flexible space accommodating various layouts to suit your needs. 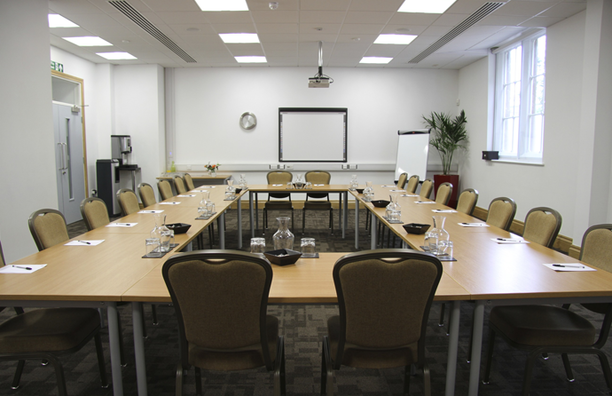 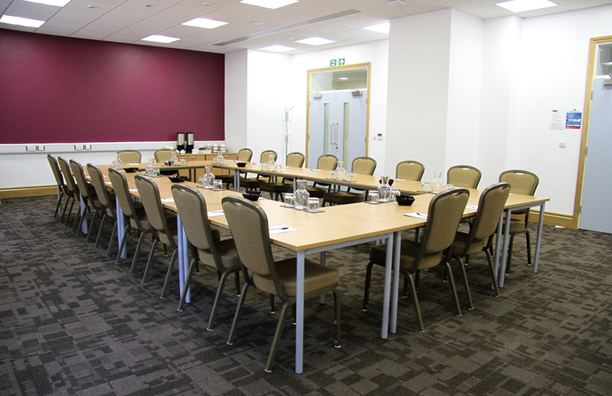 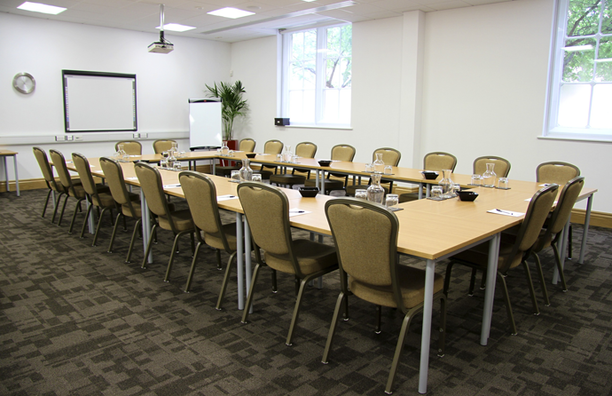 The Kempe Room is fitted with an ceiling-mounted projector, its own water cooler, tea and coffee facilities. 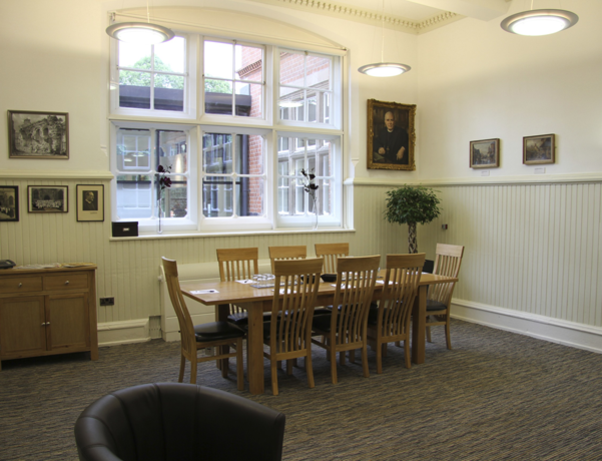 The Kempe Room benefits from natural daylight and a view into our internal sculpture courtyard. 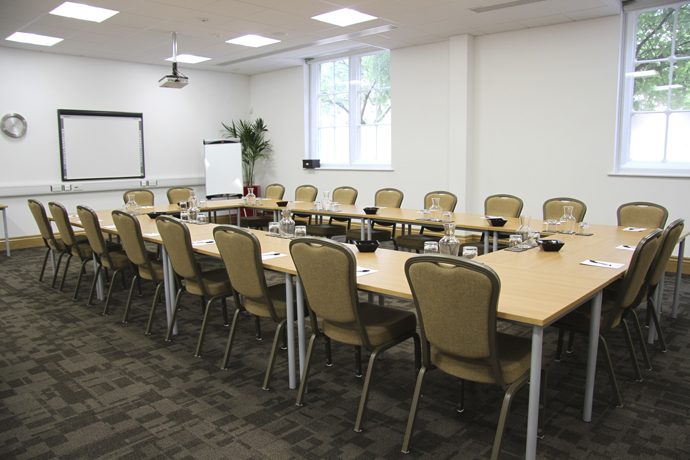 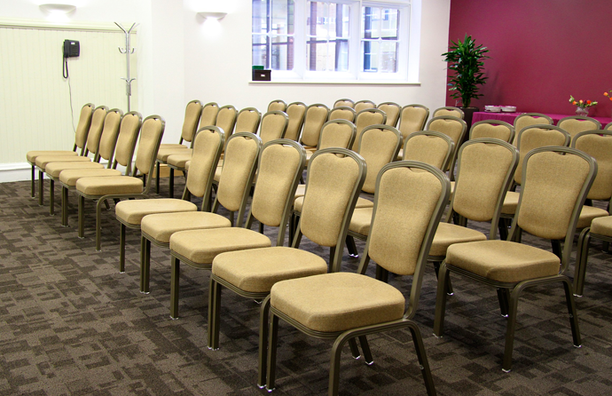 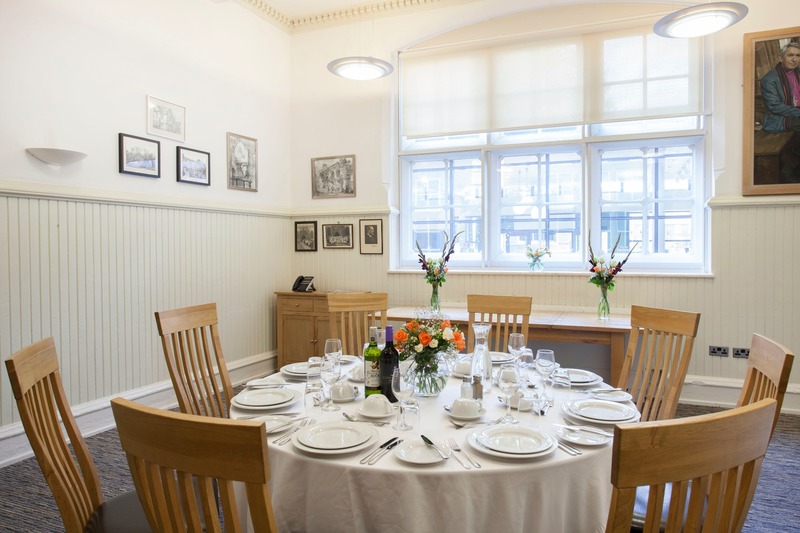 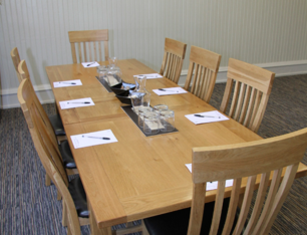 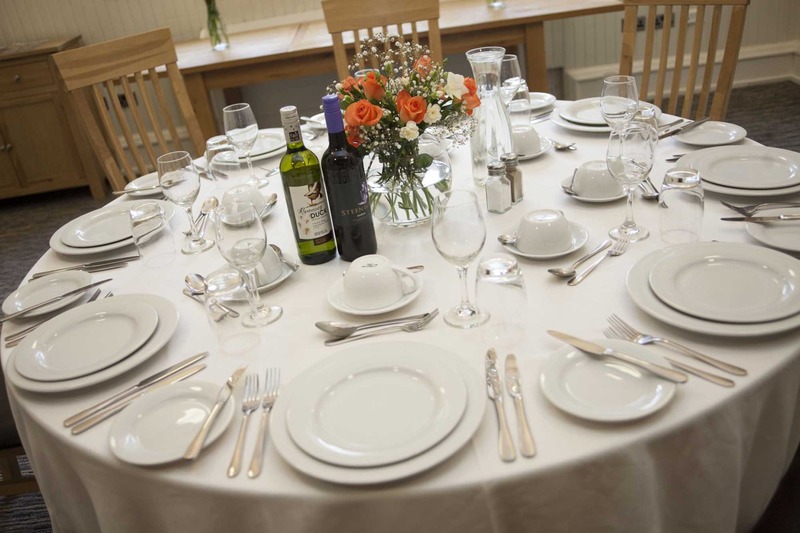 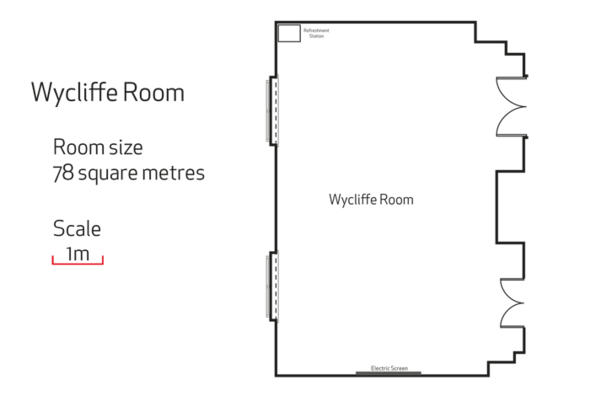 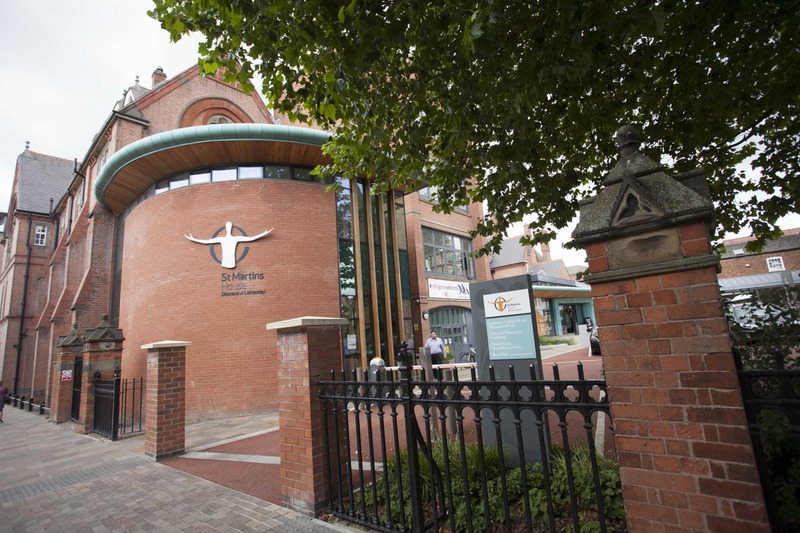 The Wycliffe Room is a contemporary space located on the ground floor and can accommodate 45 people. 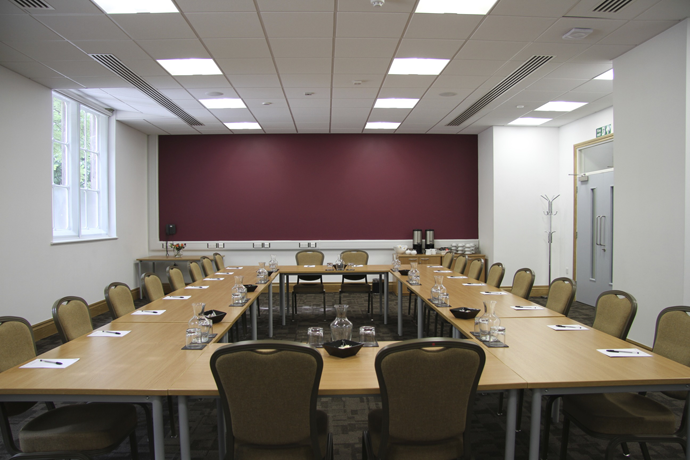 It benefits from a ceiling-mounted projector, water cooler and own tea and coffee facilities. 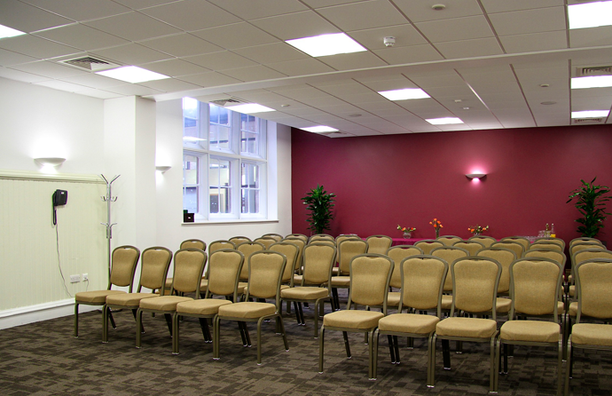 Tall ceilings and natural daylight make this space a pleasure to be in. 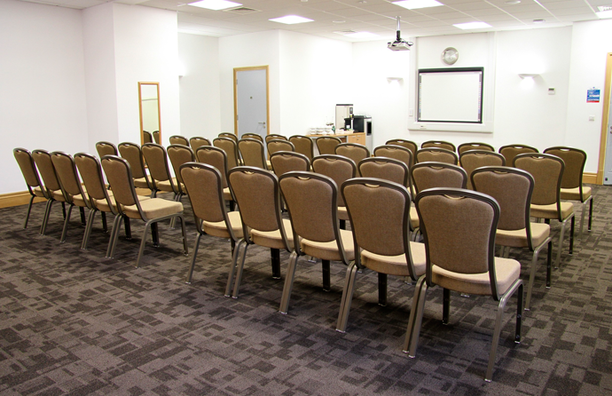 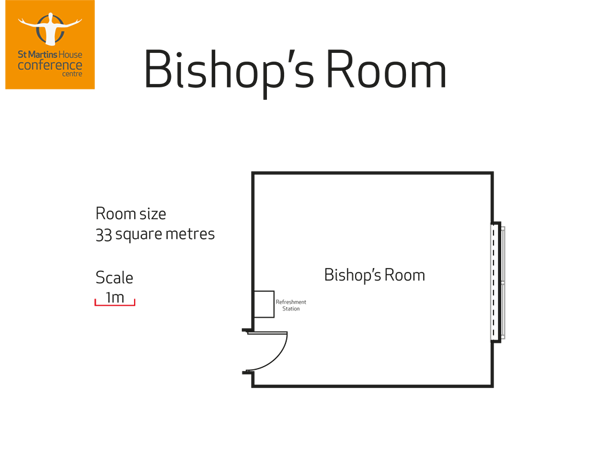 Its rectangular shape provides maximum flexibility ensuring the room can be used for many different layouts. 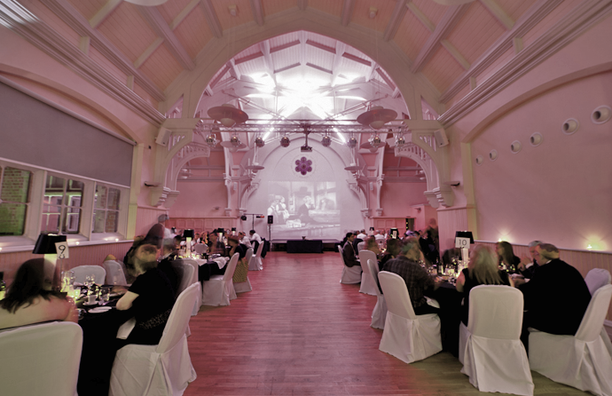 The Grand Hall really is the jewel in our crown. 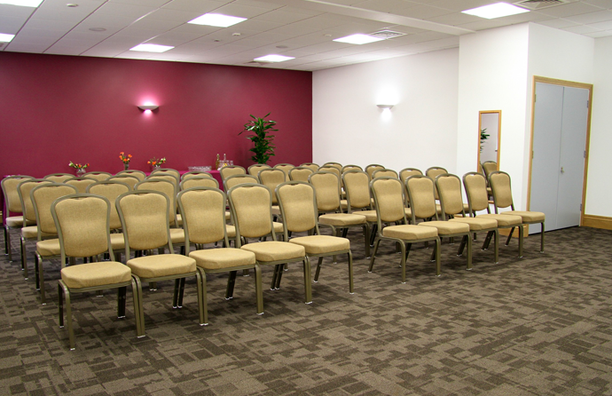 Located on the first floor, the Grand Hall can be accessed by either stairs or lift and can comfortably accommodate up to 180 people. 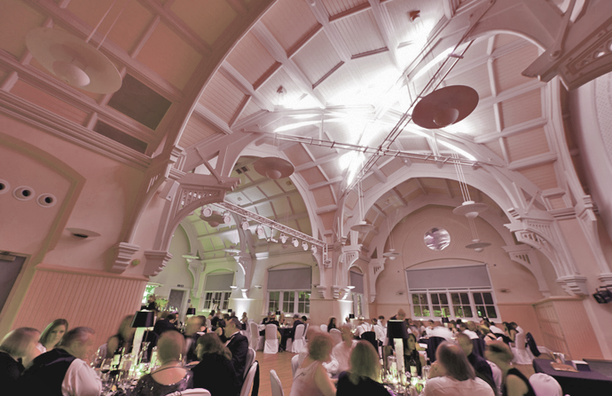 As soon as you walk into the Grand Hall your eyes look upwards to the magnificent vaulted ceiling and stained glass window high above you. 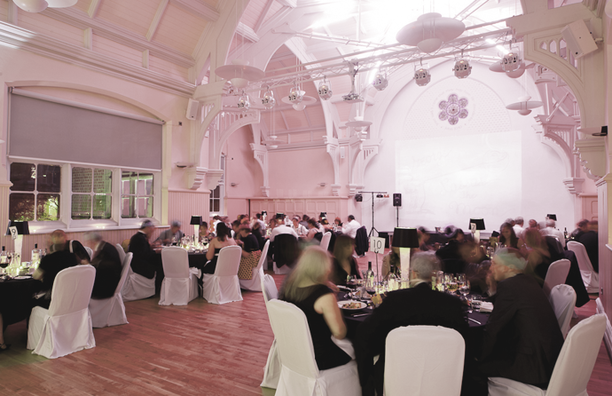 Boasting an impressive 12 meter ceiling height and natural daylight the Grand Hall truly deserves its name while still maintaining a comfortable and welcoming atmosphere. 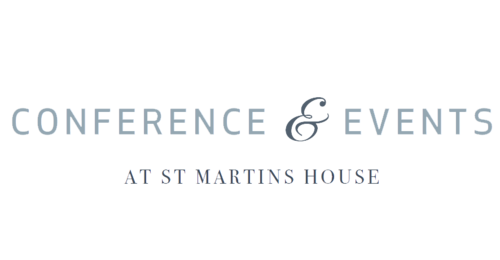 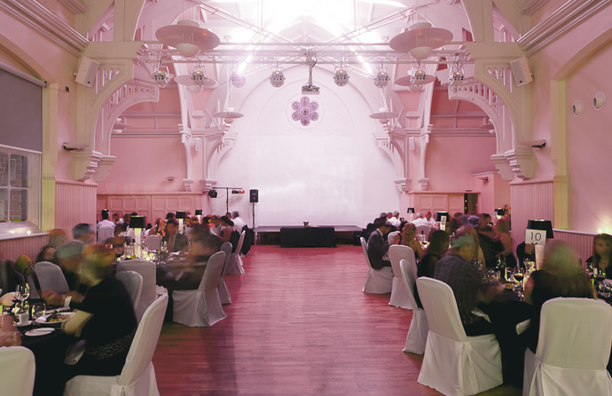 The Grand Hall can be used for conferences, meetings or exhibitions as well as private lunches and dinners, and is an extremely flexible space lending itself to a variety of layouts including cabaret, theatre, banquet or classroom. 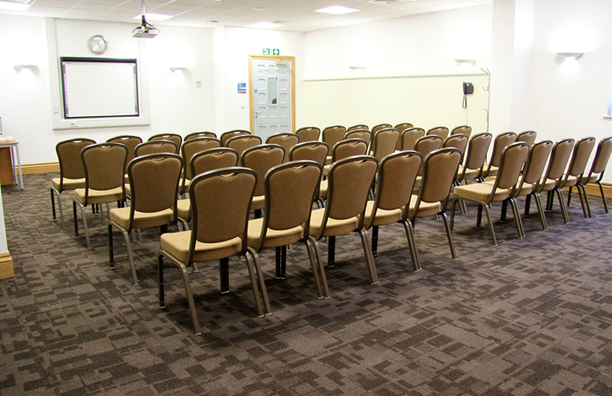 Fully equipped with audio-visual facilities the Grand Hall is serviced by a full kitchen and has its own bar. 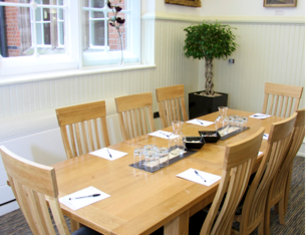 The bar can be discretely stored away for clients not requiring it. 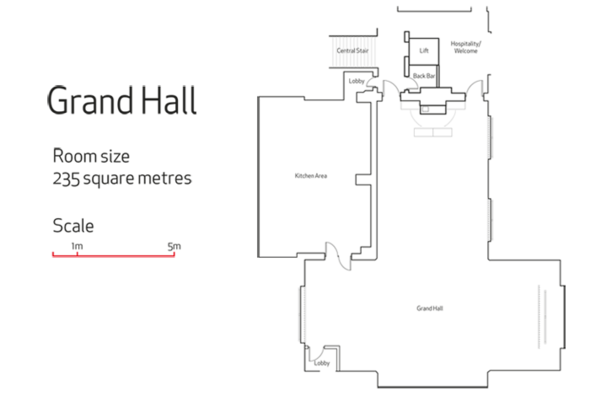 The Grand Hall also has a loop system for the hard of hearing. 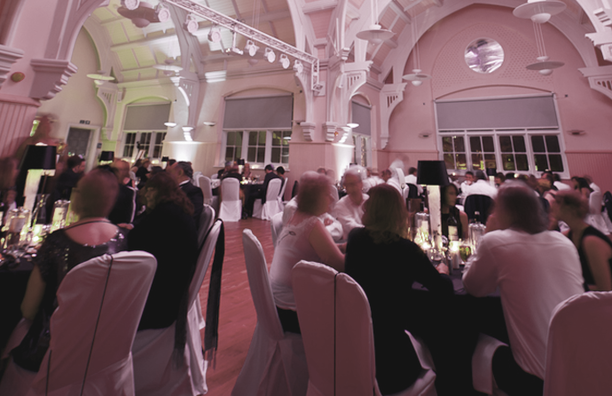 Combining historic features with contemporary facilities, The Grand Hall will certainly surpass your expectations and provide you with a stunning backdrop for your event.